Drivers of Uber, Lyft, and other ride sharing companies are regulated in Nevada under the PUC (Public Utilities Commission) and not governed under the NTA (Nevada Transportation Authority) similar to taxicabs, limousines and other commercial carriers. Nevada Law mandates that such companies operate with a minimum of $1.5 million in liability coverage for personal injury or death in a motor vehicle accident. Screening for drivers of Uber and Lyft are done by the respective companies who drive their own vehicles for a fee. The popularity of the service has grown by leaps and bounds as the prices often undercut the competition and afford passengers a viable option, especially in under served residential neighborhoods where taxicabs are often not present. Motor vehicle accidents involving Uber and Lyft drivers are handled no differently than any other accident case. Drivers are the primary defendant with the owner’s insurance policy being the first insurance used; with ride sharing companies the insurance policy of Uber or Lyft would be the primary by virtue of the new law and contractual agreements between the operators and the companies. 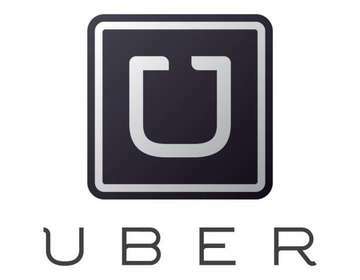 Uber accidents will have the same kinds of causes of action in a lawsuit as any other taxi lawsuit: Negligence/Negligent operation, Negligence per se, Vicarious Liability, Respondeat Superior, and in some cases Negligent Hiring. The big distinction in a ride sharing company and in a taxi cab operation in Nevada is that taxi’s are owned by the taxi company; of the 14 or so licensed taxi cab operators, they received the bulk of the revenue for hauls with driver coming to work and driving the taxi’s vehicle. Uber drivers are the opposite: they own their vehicles and have private insurance on those, and when they are driving passengers for Uber or Lyft then the respective ride sharing companies’ insurance becomes primary. 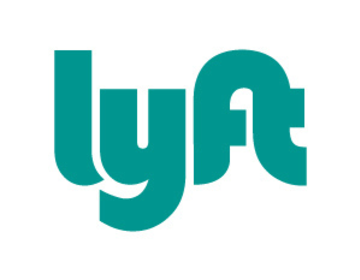 The interesting issue is whether the ride sharing company can be sued as an “employer” in a typical lawsuit setting where respondeat superior is alleged, or in laymen’s terms, whether the employer is legally liable for the acts of its employees. Nevada subscribes to vicarious liability law; however, the issue becomes whether the ride sharing company is in fact the employer, or are they just a technology company offering the connection between the driver and the passenger? Another question is whether the payment relationship between Uber and Lyft and their drivers-- is it such that Uber is paying the driver or is the driver paying Uber? The reasons such distinctions matter is that Uber may argue that they are not the employer, and the drivers are merely independent who drive when, where, and how long they want and merely pay Uber a transaction or commission on the fare. Thus, they are independent contractors offering rides from A to B. These distinctions are important when a legal analysis is considered to hold Uber or Lyft legally liable for amounts over the $1,500,000.00 legal liability mandate. In the event of a wrongful death action or a serious injury accident case, $1.5M in liabilility coverage is not going to be enough to compensate injury victims. A lawsuit directly tying Uber or Lyft to the accident is crucial. Arguing the specific elements of respondeat superior and the theories of legal liability including whether the contractor is truly independent. Some of these issues may be statutory in nature. If you need legal advice concerning a ride sharing company like Uber or Lyft call the attorneys at Benson and Bingham who will educate and advise you on your personal injury and liability options. See Also: UBER Driver Liability Limits: Customers vs. Non-Contracted Passengers? UBER Driver Liability Limits: Customers vs. Non-Contracted Passengers?